TAMPA, Fla. — The first few days of September 2017 were full of twists, turns and a flood of warnings. 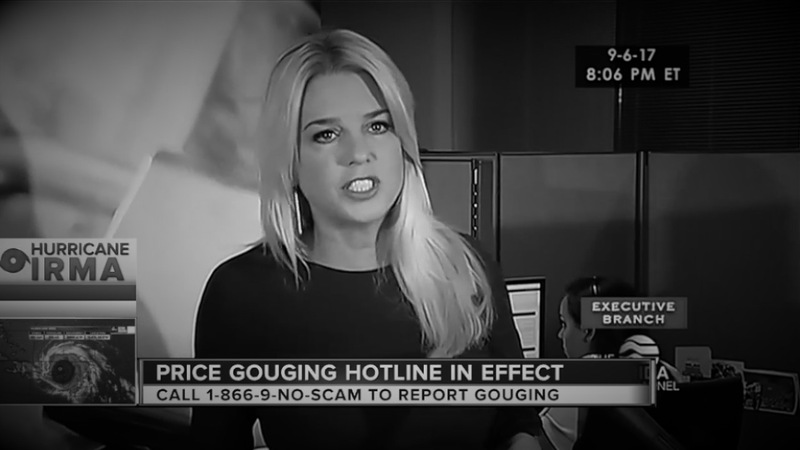 "Price gouging on water, it’s disgusting and we’re not going to have it,” stated Florida Attorney General Pam Bondi during one of her many on-air interviews during the days leading up to Hurricane Irma. “You cannot just inflate prices,” she said during an interview on TV. “If you go after Floridians, I’m going to go after you,” she threatened during a live interview. After Florida Attorney General Pam Bondi's on-air threats against businesses who try to inflate prices during Hurricane Irma, her office received some 14,000 price gouging complaints according to an agency spokesperson. And just as she promised, Florida's top consumer advocate is making good…or is she? There were a deluge of complaints to the state Attorney General’s office, which accused some Florida businesses of jacking up gas prices or hiking up the nightly rates for hotel rooms. Ten months after Hurricane Irma hit the state, Pam Bondi’s office has formally reprimanded 10 Florida businesses. “Uh, that seems like it should have been more out of 14,000,” said Bill Newton of Florida's Consumer Action Network, which advocates on a wide range of consumer issues. “Do these numbers suggest that the state really is taking price gouging seriously,” asked reporter Katie LaGrone. “It doesn't look like it.” said Newton. “I think they've tried hard to make the numbers look like they are but there's just very little action,” he said. Newton is referring to this: According to an AG spokesperson with Bondi’s office, more than 2,000 consumers have or will receive money for being overcharged during Hurricane Irma, which made landfall on Cudjoe Key Florida as a Category 4 hurricane last September. Those refunds or price adjustments total more than $268,000, according to the AG. Use this interactive map to see price gouging penalties around the state during Hurricanes Matthew and Irma combined. But those figures represent refunds from Hurricane Irma AND Hurricane Matthew which spared the Florida a direct hit as it channeled up the eastern seaboard making landfall in South Carolina as a Category 1 hurricane a year earlier in 2016. After inquiring about Hurricane Irma refunds, a spokesperson with the AG’s office estimates more than 1400 consumers were provided refunds or price adjustments totaling more than $204,500 from Hurricane Irma. From hotels in Miami to gas stations and food marts in Boca Raton, Riviera Beach and Tampa, ten Florida businesses have signed “Assurance of Voluntary Compliance” or AVC agreements with the state as a result of price gouging complaints during Hurricane Irma. An additional two hotels are being sued, including The Tarpon Springs Inn which, according to the state, increased its nightly room rate by 118% per night during Hurricane Irma. Prior to the storm, room rates were about $55 per night but during the evacuation phase of Irma, prices jumped to as much as $171. A year earlier, rates jumped up to as much as $271 per night according to the lawsuit. When we stopped by the hotel, a worker said she was new and did not know how to contact the owner. At the Fowler Food Mart in Tampa, James Illikal explained why a total of 14 complaints were filed with the AG accusing him of raising the price of bottled water cases to $14.99 during Hurricane Irma. 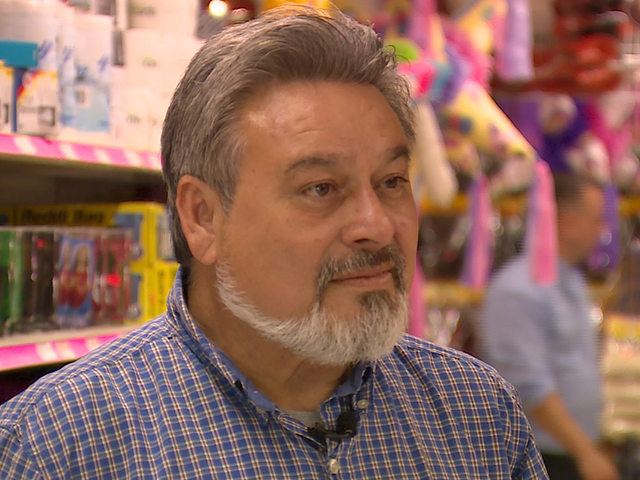 Illikal goes on to explain that they were slapped with $2,000 in state fines because they didn’t post a sign informing customers that the distributor raised water prices on them which is why the price was higher. The store was also ordered to pay some customers back. 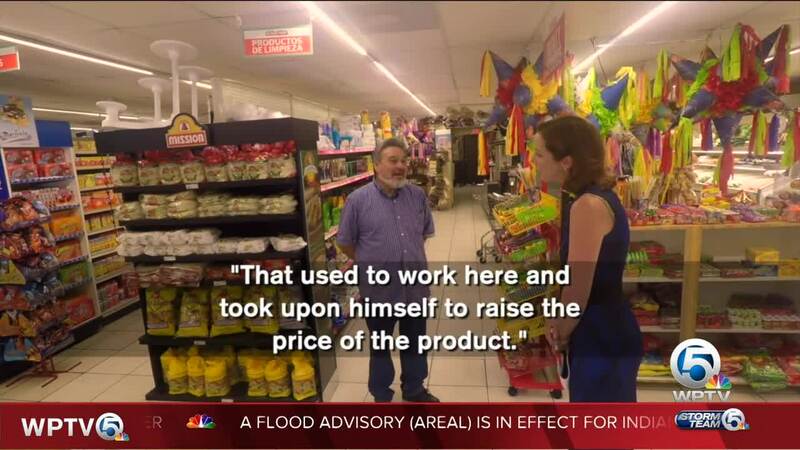 At El Noa Noa Supermarket also in Tampa, one of its managers blamed another employee for raising water prices to $19.95 per case during Irma. That employee no longer works there according to supervisor Jorge Diaz. “He took it upon himself to raise the product,” Diaz said. He went on to explain that when they found out, the store’s owner reduced the price to below their costs so they actually ended up losing money. The state received a total of 15 complaints about the water increase. “My cost was $16 case and I sell for $20. I do not oversell,” he told us. "They are totally wrong," he said about the state investigation that costs him $2,100 in fines and restitution. “Why didn’t you challenge the state?” asked Katie LaGrone. “I challenged! I give them paperwork, everything,” he said still visibly frustrated. We have asked the state for a copy of its investigation at Hossain’s gas station which included seven complaints filed. 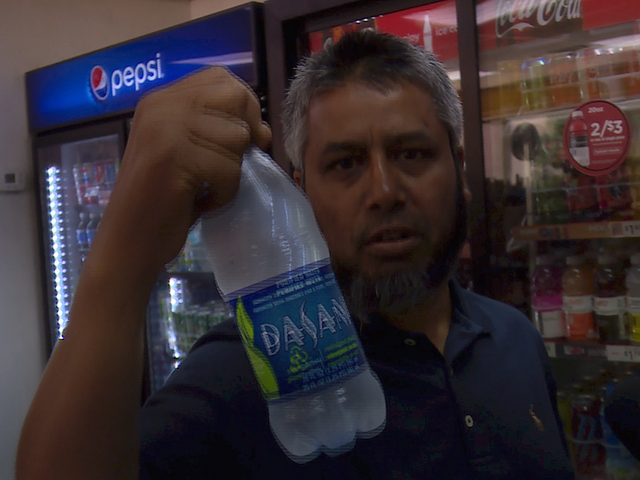 When asked how he will handle the next state of emergency Hossain responded, “I’m not going to sell any singular water,” he said. “Any customer asks, I’m going to close the door,” he said. According to a spokesperson with the Attorney General’s Office, the office is still pursuing about 1,000 more complaints. The spokesperson says most complaints aren’t investigated because complainants don’t include enough information to support claims. A request to speak with Attorney General Pam Bondi was denied. We will continue to pursue an interview with Ms. Bondi and get answers Florida consumers deserve. Provide contact information so the office can follow up as necessary. Keep receipts and other documentation like pre-storm receipts or ads for the same item in the same location. Take photos or video of any signage or screenshots of website postings. Make sure to accurately report information regarding the name of the business and its location.